Kanyankore was relieved of his duties in December last year. Former Chief Executive Officer of Rwanda Development Bank (BRD) Alex Kanyankore has been arrested over two related charges, KT Press has learnt. Kanyankore was fired from his duties as the lender’s CEO in December last year – following a decision by the board of directors – marking an end to his four years tenure. 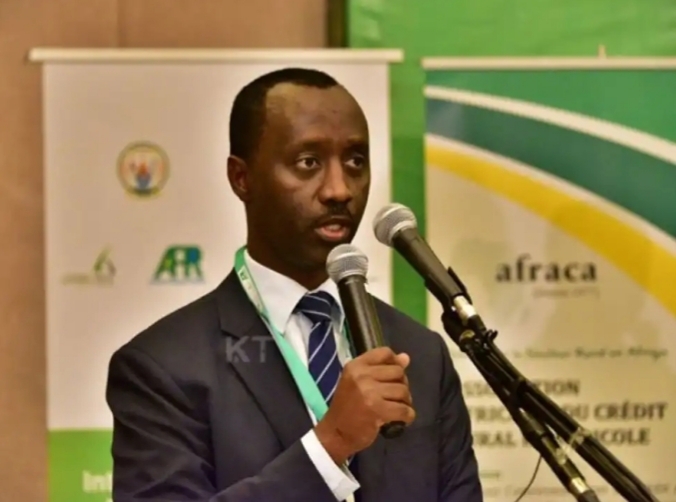 “Former CEO of BRD Kanyankore Alex has been arrested over suspicion of favouritism and receiving illegal benefits in order to offer a service, committed when he was still in office,” Rwanda Investigations Bureau (RIB) tweeted early Wednesday. If convicted, Kanyankore could face up to 7 years in prison as stipulated in the article 8 of the penal code. The article states that any person in charge of providing service to people who makes a decision based on favoritism, friendship, hatred, acquaintances or nepotism to any person who seeks a service, commits an offence. Upon conviction, he/she is liable to imprisonment for a term of more than five (5) years but not more than seven (7) years with a fine of not less than one million Rwandan francs (Rwf1,000,000) but not more than two million Rwandan francs (Rwf2,000,000).